Last night was Oracle Midlands Event #10 with Jonathan Lewis. The first session was on “Five Hints for Optimizing SQL”. The emphasis was very much on “shaping the query plan” to help the optimizer make the right decisions, not trying to determine every single join and access structure etc. The break consisted of food, chatting and loads of prizes. It’s worth coming even if you don’t want to see the sessions, just to get a chance of winning some swag. 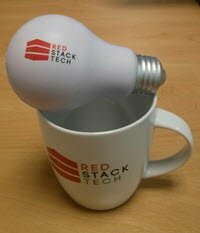 🙂 Everyone also got to take home a Red Stack Tech mug, stress bulb and some sweets as well. The second session was on “Creating Test Data to Model Production”. I sat there smugly thinking I knew what was coming, only to realise I had only considered a fraction of the issues. I think “eye opening” would be the phrase I would use for this one. Lots of lessons learned! So that was another great event! Many thanks to Jonathan for taking the time to come and speak to us. Hopefully we’ll get another visit next year? Well done to Mike for keeping this train rolling. Wonderful job! Thanks to all the sponsors of the prize draw and of course, thanks to Red Stack Tech for their support, allowing the event to remain free! Big thanks to all the members of the Oracle Midlands family that came out to support the event. Without your asses on seats it wouldn’t happen! The next event will be on the 1st September with Christian Antognini, so put it in your diary!